Caring for your small patch of green is a year-round task. You invested so much in having your dream lawn and landscape so why scrimp on maintenance? Homeowners may sometimes make the mistake of neglecting their lawn and garden for a few weeks, only to find themselves losing the battle against insects, weeds, and disease in the long run. Making it more costly to rejuvenate it and bring it to its exceptional state. Having a well-manicured lawn is just the first step towards really keeping your outdoor spaces in excellent shape. What you want is to have a healthy, lush, and appealing lawn—the kind of lawn that makes visitors, neighbors, and passersby wonder what you do to keep and maintain your lawn looking so beautiful. Our Springfield Gardens lawn care specialists are trained to deliver the most professional-looking mowing, edging and trimming services. Our customer satisfaction guarantee extends to post-mowing chores such as clearing your sideways and driveways of grass clippings as well as putting back your lawn decorations in their proper places. Only then can we truly call it a day’s work. We use only specialized tools and equipment to efficiently trim turfgrass and other plants in the precise shape and size that our customers require. We understand that different plant varieties require different cutting techniques and schedules, and that is why we have come up with a choice of two mowing programs geared specifically towards your needs. We offer a weekly as well as a bi-weekly lawn service program so that you will never have to miss out on trimming your lawn as scheduled. 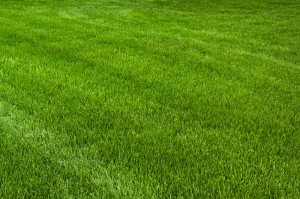 You can rest assured that your lawn is expertly maintained by professionals. Finally, we believe in empowering our clients with the necessary know-how and tools so that they can take care of their turfgrass even in between mowing appointments. We will teach you easy do-it-yourself tricks to ensure that your lawn stays tantalizingly green and fresh throughout the hot summer days or the cold winter weeks. We will assist you in choosing the right type of garden decorations to complement the overall look of your lawn and thus improve its appearance even further. Contact us now so we can visit your property and you can start getting the beautiful and elegant lawn in the neighborhood. Our lawn care specialists would gladly serve you with the best of their knowledge and experience. We strive to deliver the best quality work at an affordable price. So don’t hesitate to give us a call at (417) 882-7800 and get a free quote for your specific lawn care needs.